Hello, Gorgeous! : short skirt and a looong jacket. 10 brownie points for anyone who recognizes the song I referenced in the title of this post! Other than my loving the song that this title is taken from, I have been absolutely LOVING jackets lately. I'm talking real, deep, commitment here people! I swear I've only worn one outfit without a jacket in the past week. It does also help that the weather has significantly cooled down and has been perfect for jacket-wear. Anyway, enough about my jacket-overdose. 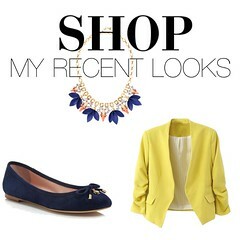 This post is to show-case what I've been wearing the past week. I want your closet. . . more like NEED it. All the outfits are fab!! I just found your blog yesterday via Pinterest and have already bought some things that I never thought I would ever buy but seeing them put together the way you do is awesome. Thanks. That chevron dress is super cute and you styled it so well!! I lurve Cake! I'm going to have that song stuck in my head all day! I think your outfit with the pink top, yellow skirt and zebra belt is just amazing! This post further justifies my case. I've been trying to convince my husband that it is necessary to buy more blazers from H&M! Thank you for giving some evidence as to why! Yes!! They have the BEST blazers! Love the looks. Especially the chevron dress. I have 2 cotton blazers (I'm the casual type) and I definitely want to get a few more! They dress up my cas outfits perfectly and keep me warm in the office. Thanks, Love! Yes- they are always so useful and fashionable! My husband and I used that song for our wedding reception entrance - love it! I was going to comment about my favorite outfit from this post, but I love all of them! Funny thing about this post: just this afternoon my husband and I were listening to "Never There" by Cake. I brought up Short Skirt/Long Jacket. He didn't remember it! Love that Cake song! And you have the best collection of blazers! I'm gushing over that tuxedo blazer! 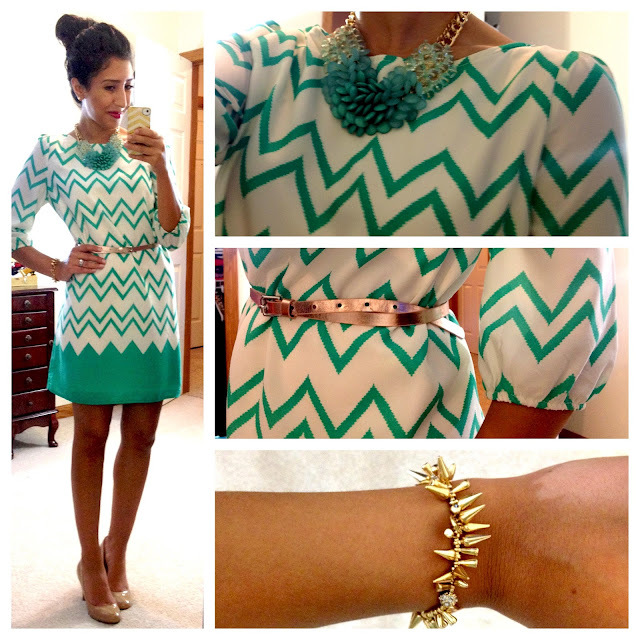 I love that chevron dress. I just bought a similar one on www.urbanog.com it's sleeveless and fit/flare. but same pattern. Love all these outfits they are all so chic and classy X Just started following your blog and love it maybe you would like to checkout and follow us? 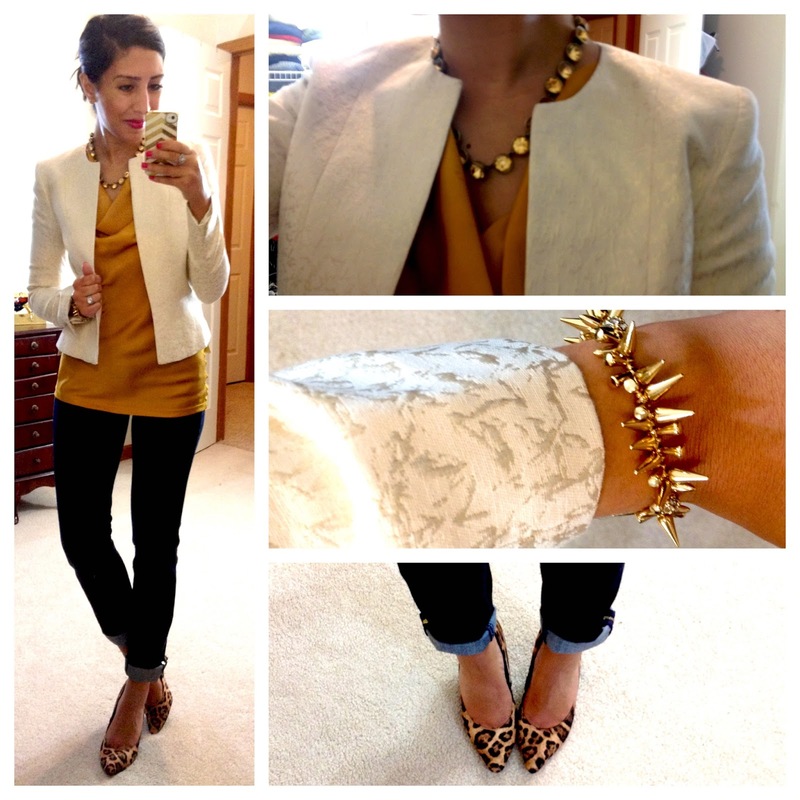 So glad I stumbled on your blog, I'm always looking for office attire inspiration and yours is so chic! So stylish outfit..loved it..wonderful online boutique collection!! I wish I could shop these skirts from my favorite fashion boutique !!! Love these Party Wear Suits ...awesome!!! You are fabulous! Keep posting you have a great eye.